This is a summary of a systematic review on using early ambulation to treat pulmonary embolism and deep vein thrombosis. 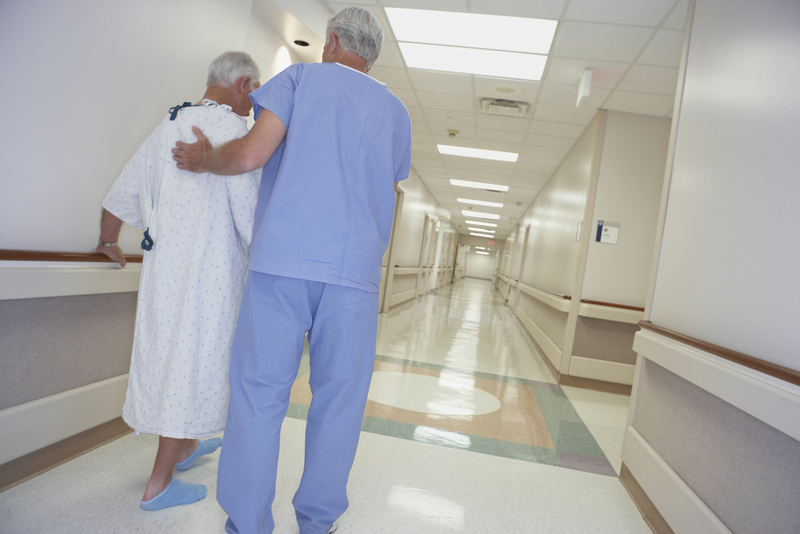 Early ambulation is where a patient gets out of bed and engages in light activity (e.g. walking, standing or sitting) as soon as possible after an operation. A pulmonary embolism (PE) is a blockage in the pulmonary artery (the blood vessel that carries blood from the heart to the lungs). Deep vein thrombosis (DVT) occurs when a blood clot forms in a vein located deep inside your body. This systematic review is relevant to healthcare practitioners because, while prescribing bed rest to a patient may appear to be the safe option, bed rest can cause several additional health problems for patients. Knowing that it is safe to mobilize patients after a PE or DVT will help to prevent deconditioning among these patients. (Deconditioning is a physical and/or psychological decline in a patient’s functioning). For more information about other ways that DVTs are treated, take a look at this S4BE blog on new anticoagulation methods. Patients diagnosed with deep vein thrombosis (DVT) or pulmonary embolism (PE) in acute care are predominantly treated with anticoagulant medications (medicines that help prevent blood clots) and bed rest. It is thought that ambulation may dislodge blood clots. However the impact of bed rest versus early ambulation has not been well researched. Although bed rest is commonly taught as part of treatment for acute DVT/PE, bed rest is associated with a longer hospital stay and muscle disuse has several negative effects. Current recommendations typically do not mention bed rest or early ambulation. A systematic meta-analysis was conducted to compare standard anticoagulation plus either bed rest or early ambulation for the management of DVT and PE. The researchers searched for studies that compared initial bed rest to ambulation in patients treated for DVT, PE, or both. There were a total of 363 references found; 344 were excluded based on their title and abstract and the remaining articles were examined in greater detail. Ultimately 5 studies were included. an increased risk of new PE, overall mortality, or of a new DVT developing or of a DVT progressing. Additionally, there was no increase in adverse events with early ambulation. Early ambulation has other beneficial effects, such as: alleviating pain, improving quality of life, lowering the rate of post-thrombotic syndrome (a problem that may occur in the leg after someone has suffered from a serious deep vein thrombosis (DVT). 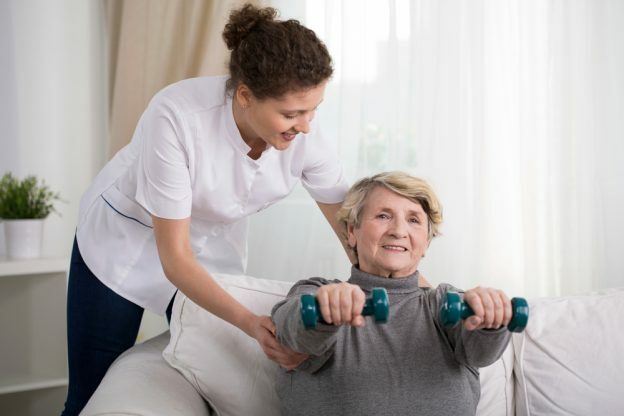 Finally, increasing mobilization may allow for home treatment or early discharge from the hospital. So it might also be cost-effective to ambulate DVT and PE patients early. In some included studies, patients who were allowed to ambulate were less severely ill than patients confined to bed. This could potentially explain why the early ambulation patients tended to have better outcomes than those who received bed rest. Early ambulation differed between studies and was not defined precisely, ranging from day 0 to day 2. Patients presenting with PE versus DVT at the time of inclusion into the respective studies were not analyzed separately. It was assumed that a distinction between PE and DVT was not relevant. While patients were treated with similar anticoagulant regimens in all studies, the patients in the early ambulation groups might have been treated more often with compression or elastic stockings. Patients with massive PE had been excluded from the studies included in the analysis, with the exception of one study, affecting the generalizablity of the findings to this sub-group of patients. Most of the studies included symptomatic as well asymptomatic PE detected on systematic examinations. The results of this review suggest that initial bed rest should not be recommended based on current evidence. Early ambulation should be considered for DVT or PE patients, as soon as a level of effective anticoagulation has been reached. This finding might be used to recommend early discharge from hospital and continuation of treatment at home. and also what “chest physio” can mean, and what is actually effective! REALLY?? after 35years of “re-educating.